So, while some of these summer camp questions might be a little...let's say, off the wall, they are completely valid (and yes, they were actually asked in some shape or form). The following should make you laugh, but there is at least a shred of value from each accompanying answer as well. 1. 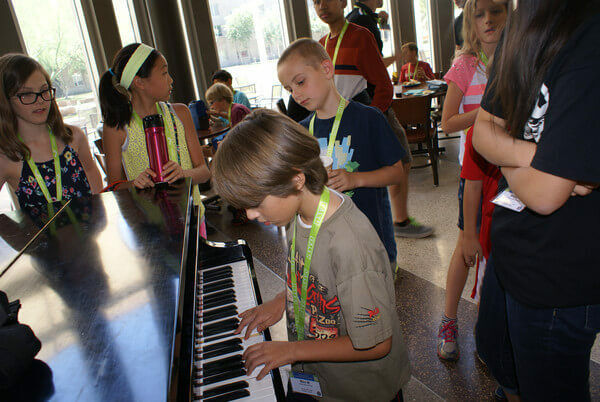 Will students have access to a piano at camp? Love it. We know our students are multi-talented, and piano skills don’t sleep. That said, can we promise piano access at camp? No, unfortunately. But, don’t be surprised if one is present. The same can be said for a variety of other amenities. One of the overlooked benefits of camps held on college campuses is that you never know what might be available for student use inside a computer lab here or rec room there. Pianos, pools, and more, quite possibly. 2. Do you offer a coding/surfing combination camp? You mean you want to learn surfing while you learn coding? Since we are getting crazy, why don’t we just give the option for students to learn golf, or even fencing? En garde! And in case you think that is just a random surfboarder photo, more proof. It’s all about offering variety and giving students and parents the course options they desire. Given the proximity to the ocean of our camps in San Diego, and the prowess of Stanford University athletics, these courses provided a good fit a few years ago. 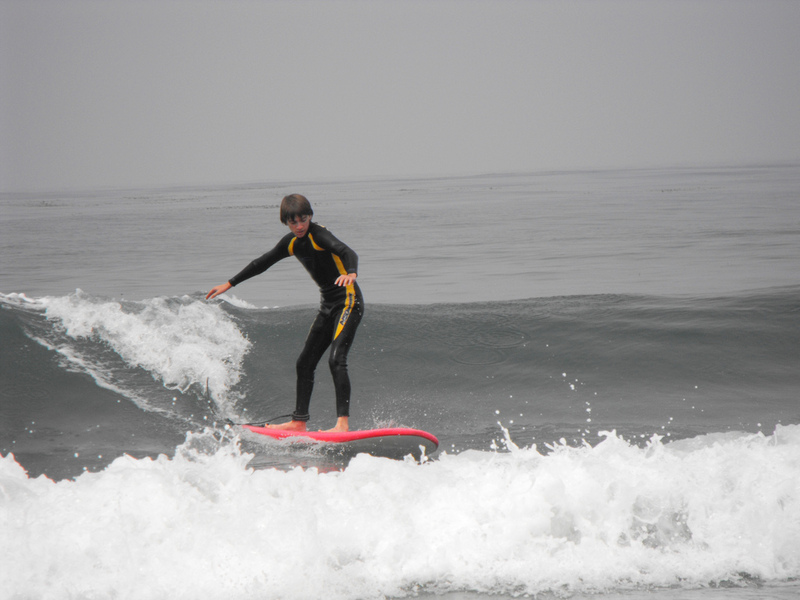 Over time, though, we have realized that we are really good at offering tech education, so let's utilize our course spaces to offer additional options in programming, Minecraft, and more, and leave the surf camps to the pros. 3. What’s a good alternative to robotics? A perfectly fine question on the surface, right? And one that has been asked many times. Thing is, in this instance, the parent heard that robots and artificial intelligence were going to soon take over the world, and if that were the case, they didn’t want their student to participate in such activities. I mean, if that is your understanding of robotics, then I totally agree, and wouldn’t want my kid responsible for any of that. Butttttt, when I hear and read about robots programmed to do good, you start to see the other side of the story, and realize an involvement in robotics might actually be of value. Either way, to answer, there are many alternatives to robotics. That’s the beauty of being a tech camp instead of simply a robotics camp. There are plenty of course genres to choose from. 4. Can I pay for overnight camp one night at a time? It’s an interesting concept, to pay as you go instead of committing to an entire weeklong or 2-week camp session. But, we don’t offer the opportunity at this time. Not really that bizarre of a question, just something we hadn't heard before! 5. My student is a bench press champion, will there be a gym available? I was such a string bean as a kid. Don’t know why I was just reminded of that. Anyway, I can say that there aren’t weight lifting opportunities for kids while at camp (but we do encourage students to push in their chairs when not in use, and that action can add up). So, while there aren't weights, there is plenty of time for outdoor activities, sports, and other forms of exercise. Students certainly don’t sit inside at their computers each day. It’s a computer camp myth. They'll be up and down, inside and outside. 6. Do you offer typing skills classes? Now, I definitely follow the logic on this one, and let me tell you why. When I was growing up and going through school, the only “computer course” I had access to was a typing/word processing course. So, because iD Tech is known to offer computer camps/tech camps, one could surmise that “computer camp” = “computer course” = typing class. All that said, no, we don’t offer typing skills courses. 7. Can an instructor sign off on a programming Boy Scout merit badge? The answer is “yes,” however, the instructor would need to be certified as a merit badge counselor. Here is more info on the programming badge. 8. My student is flying into camp internationally. Can they check in early, or the night before? We certainly welcome international students and definitely understand the difficulties in scheduling flights! The best answer I can give is to always give us a call at 1-408-871-2227, option 1 (our international number) to chat with a Program Advisor about your student’s needs. 9. What are the specific qualifications of the instructor who will be teaching my student? Where did they attend school, and what is their experience? 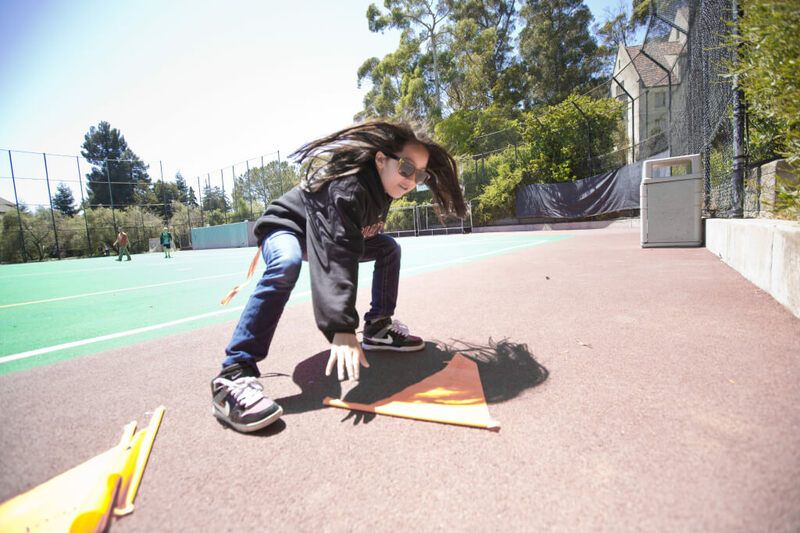 As to who they are…some are actually iD Tech alumni who attended camp themselves as kids or teens, and have returned to “pay it forward.” Others are students or graduates of the very universities where we hold camp, like Princeton, Stanford, or MIT. Others are industry professionals—indie game designers, filmmakers, and app developers. 12. Can my child buy food at the restaurants located near the campus dining hall? If the dining hall is very close to the campus food court, sometimes older students will be allowed to go to the food court to purchase lunch on a day-to-day basis. If dining facilities aren't really close enough or the student is too young, then the answer is usually "no." Given any set of circumstances, it is up the the camp director's discretion as to whether or not students will be allowed to venture to nearby venues. 13. My daughter is a competitive dancer...Can she leave camp for a couple hours and train each day? It depends greatly on in which program campers are enrolled. If it’s an Academy session, the likelihood of campers being allowed to leave for a few hours a day is small, because the program is overnight and designed to be continuous. If it’s day camp, things are a little more flexible. That said, it is definitely something that has to be arranged on a case-by-case basis before camp begins. 14. How do introverts handle a class of mostly extroverts, and vice versa? That 8:1 student-teacher ratio enables each instructor to pay attention to each student and make sure they’re engaged and enjoying themselves. Most of our campers are active students passionate about what they’re learning. If they need a little extra prodding to socialize, the instructors are able to provide that. Same with the opposite, if they need some help calming down and focusing, the instructors are trained to do that as well. That's it; the first installment of bizarre camp questions answered. I’m really hoping this doesn’t dissuade any of you from asking a somewhat odd question that is kicking around in your head, because as you can see, there is a lot to be learned. Chances are if you're wondering if there will be a piano or pool at camp, others probably are too.